The first ever So Frenchy So Chic festival visited Adelaide at Pinky Flat for a celebration of arts and culture. 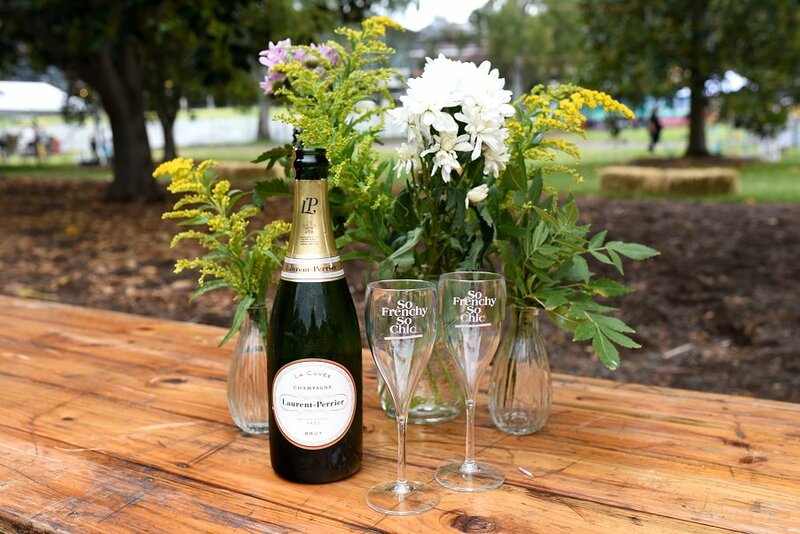 The picnic in the park follows the typical French way of relaxing, sitting back, and enjoying good food and wine. There were good tunes and good vibes with live music from French artists Féfé, Juniore, General Elektriks, and L.E.J. The eclectic music floated over the river and was the perfect accompaniment to a delicious glass of wine. Fortunately, the sun came out just in time and people lazed on the grass watching the acts on stage. Flower walls, fairy lights, bottles of champagne, and So Frenchy So Chic flute glasses completed the Parisian vibe, with Adelaide’s own slice of France. 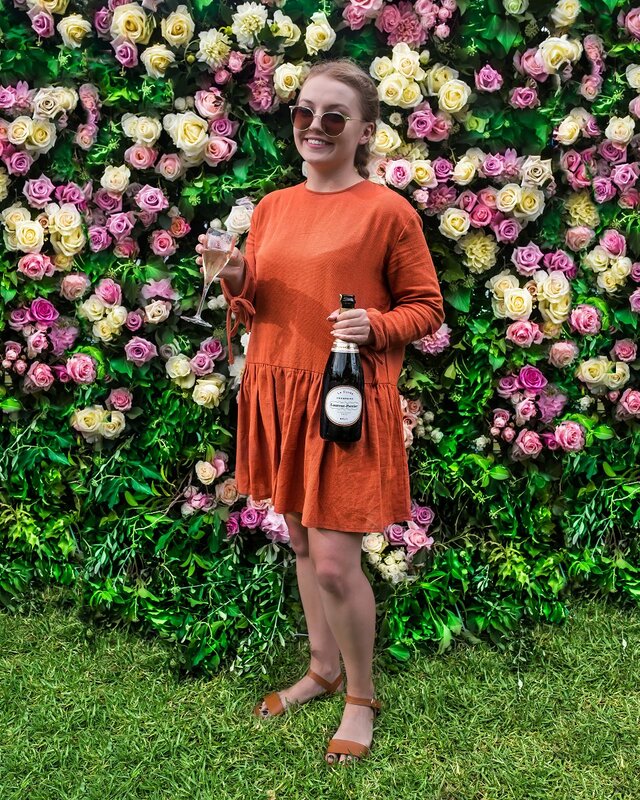 The Laurent-Perrier champagne from La Cuvée was a personal favourite of mine, with a light flavour and a small fizz in the mouth. 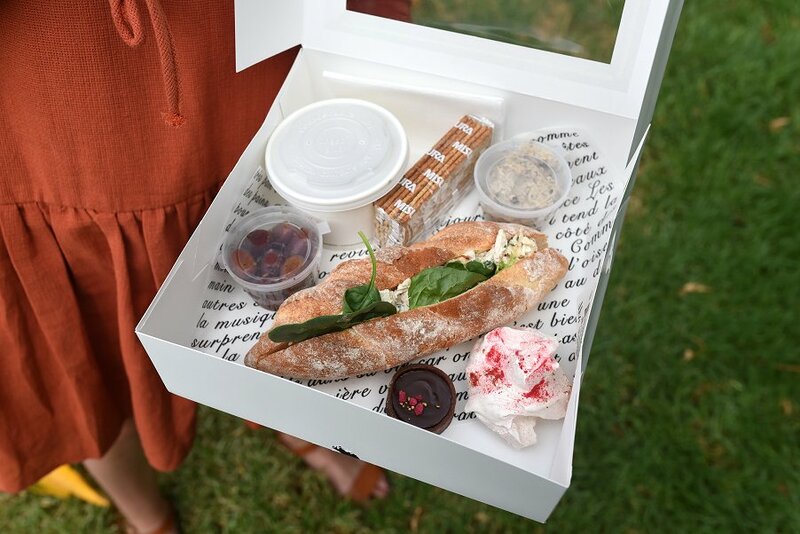 A huge range of artisanal cuisine was on offer, with various picnic hampers available from Brown & Co Catering for festival goers. There were also an array of food options from oysters to crepes from the South Australian stalls offering delicious French cuisine, including Cliché, La Buvette, and St Louis. The Brown & Co picnic for one hamper was the perfect accompaniment to the lazy afternoon. There’s nothing more French than a baguette, and that’s exactly what we got. It was filled with chicken, tarragon, almonds, crème freche, and a mesclun salad. This was followed by a salade jardinière, which was served with celery, peas, lardons, goats’ cheese, and a red wine vinaigrette dressing. There were also marinated olives and a mushroom and thyme pate served with lavosh. The hamper was finished off with two petit desserts, a chocolate ganache tart and a raspberry swirl meringue. The family friendly event brought smiles to everyone’s faces, with a relaxed vibe and delicious treats. Au revoir for now So Frenchy So Chic, but we will see you again next year for more good times.